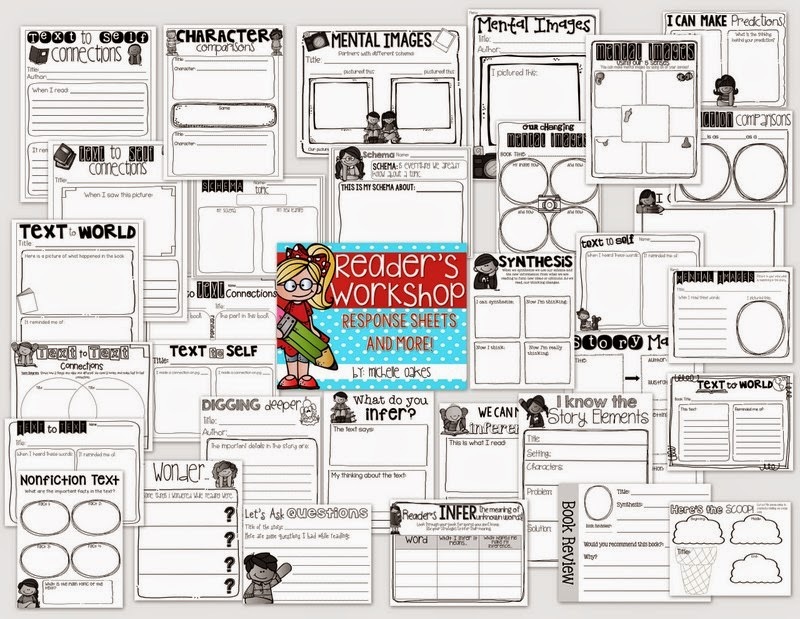 The Re-do of Reader's Workshop! One of my best sellers is a unit I created a REALLY long time ago. If you all have been blogging for a while and selling on TpT for 4 plus years, then y'all feel my pain when you look at old products. I'm not kidding, the other day someone bought my Reader's Workshop Response pack and I cringed. I wanted to scream through the computer, "NO.....let me give you, your money back!!" I'm not kidding. Is the content good? Yes. Is it cute at all? Oh goodness NO!!! So I had to redo the whole darn thing! I just couldn't take one more person buying such ugly response sheets. If you already own this product, PLEASE go download it again. If not, it's great if you do Reader's Workshop and follows very closely with Debbie Miller's book Reading with Meaning.